Today we went to pick up Yatzie and Moët after their long weekend with son/brother Charley. 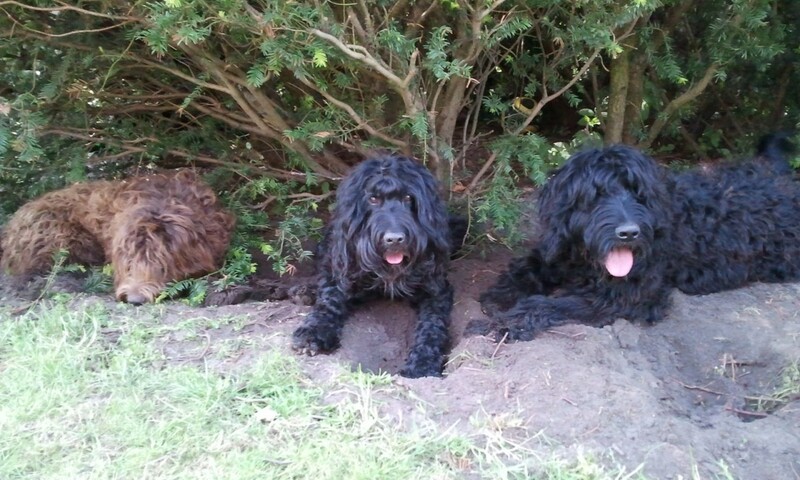 It was a hot day and the dogs took refuge in the shade under a tree in the garden of the Zuidbergs. They looked so nice together I had to make a little film. Yatzie gets very talkative and Charley joins in for a moment. He adores his mother. They have had a marvellous time, Yatzie even made friends with the cat! Thanks Monica and Gert for taking such good care of our treasures! I did not need to worry about the dogs at all, I knew they were in the best of hands full of love, activity and cuddles. You are the best!